Shoals Marine Laboratory (SML) is excited to participate in the Environmental Data Initiative (EDI) by hosting one of six fellows in EDI's ecological data management training program for summer 2018. SML's EDI fellow will receive training in data management and gain hands-on experience through participation in data preparation, archiving, and publishing with SML scientists. 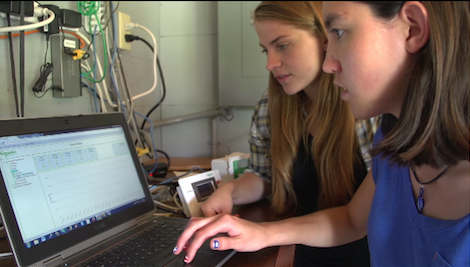 The data management project at SML this summer will be an analysis of the Rocky Intertidal Monitoring Program, which is a long-term study of the intertidal zone based on transect studies around Appledore Island. 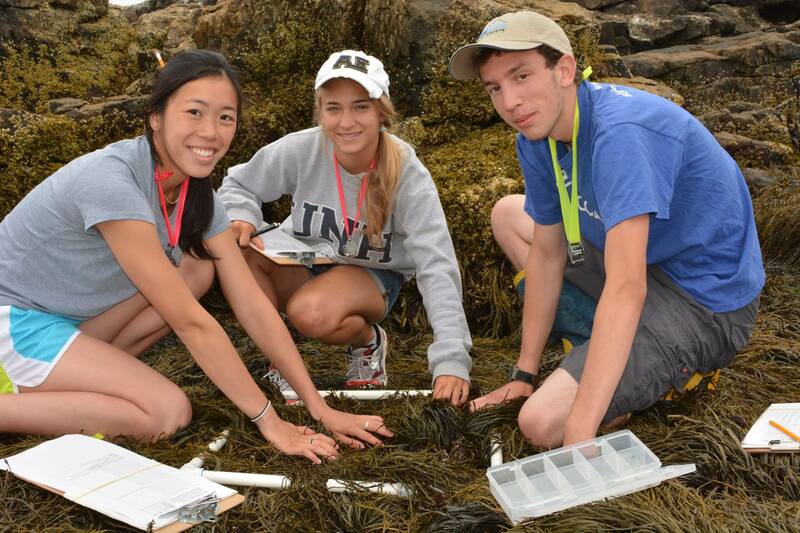 Transect data is currently collected by undergraduate research interns in SML's Intertidal Ecology Internship. The training program begins with an in-person workshop at the University of New Mexico in Albuquerque (June 5 – 7, 2018), during which fellows learn about data cleaning and formatting, metadata content, the Ecological Metadata Language (EML) and how to create EML using the R programming environment. Furthermore, the fellows will be instructed on archiving data packages in the EDI data repository. EDI will pay for workshop travel, accommodations, and meals. SML's EDI fellow is expected to participate in the initial EDI-hosted workshop. Following the workshop, the fellow will live and work at SML on Appledore Island, gaining hands-on experience in performing quality control on data collected at SML, creating metadata, archiving data packages in the EDI repository, and conducting a small data science project on the data. The fellow will be expected to participate in regular online meetings as an opportunity to receive guidance and feedback from EDI team members and exchange ideas and experiences with the group of fellows. To successfully complete the training program a basic interest in data science is necessary, plus basic skills in Excel, some programming experience, some experience in collecting and analyzing ecological data are advantageous. Previous experience at SML is preferred, but not required. Relevant SML courses include: Ecology & the Marine Environment, Coastal Habitat Field Research Methods, and the Shoals Research Apprenticeship. Stipend: Fellowship support of $5,000 will be administered through the University of Wisconsin-Madison. Travel costs for the fellow to get from the EDI workshop site (University of New Mexico) to SML on Appledore Island should be paid out of the $5,000 stipend. ("Getting to Shoals" info can be found here.) EDI will pay for travel to the workshop, as well as accommodations and meals during the workshop. One fellow will be selected for the SML-hosted EDI project. Intertidal Ecology Interns collecting transect data in the field on Appledore Island. The 2018 application deadline for this internship has passed.